One of the most brilliant inventions for Volvo cars are the Volvo timing belt kits. These timing belt kits of Volvo have been proven effective in providing the best quality of safety feature for higher level of driving road safety. 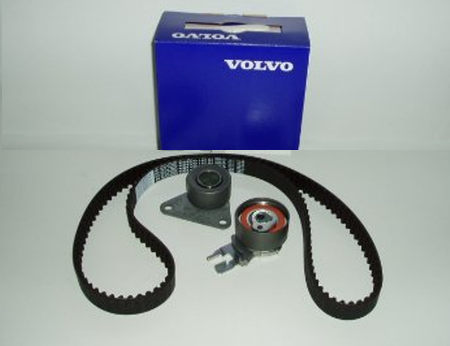 In many years that Volvo is bringing the best quality of cars and relate products like these timing belt kits, they have shown multiple offers for designs and styles of their products especially their uniquely created timing belts. Now, these timing belts are being considered as one of the most wanted timing belts by users. Volvo introduced multiple designs of their timing belt to their cylinder engine applications which are relatively non-interchangeable. From the se multiple designs of Volvo timing belt kits, this is quite tough to find the right belt that you have to purchase to ensure that you are going to use the fittest timing belt for your car. In searching for the fittest timing belt, all you have to consider are the car model, the engine code and year. If performance of timing belt is also part of your main priority, their genuine Volvo product shows more of the ideal timing belt kit for your car. They include high quality type of timing belt to ensure that your car will not fail to give high performing features. In searching for the best timing Volvo timing belt, you may take a look at the following model first before you proceed to the process of finding the correct timing belt for your car. Take note that it is generally in determining what suits best your car. In searching for a Volvo timing belt kit, always keep in mind that every Volvo timing belt kit are developed specifically to all of the models of Volvo cars that are listed on their section of vehicle fitment. Timing belts are even considered as car parts that have to be changed at regularly while the time scale varies on the manufacturer of the cars. One huge reason for changing these timing belts regularly is because of the idea to prevent them from potential splitting. When these Volvo timing belt snaps, it may also cause the damaged on car’s internal engine portions, and these all may cost higher unexpectedly for using them consistently. In case you have this idea of changing your Volvo timing belt, all you need is to keep the ideas suggested by the experts to ensure that you are using the right kit for your Volvo belt kits. Choose the right timing belt together with the right car model, with their year and their code. If you didn’t meet these three important things for purchasing the timing belt kit, you can guarantee of the result of using the best timing belt for your car. You may easily find the right Volvo in case you have three as your tool for searching the kit and ideally using it in your car.